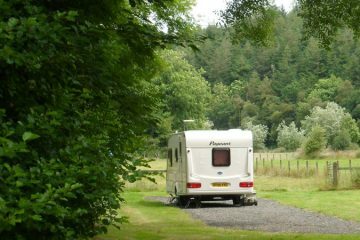 Enjoy a short break or a longer stay at our peaceful and unspoilt wooded valley site. Situated close to the A30, Wolf Valley CL has all the benefits of being close to the main route in and out of Cornwall, whilst remaining secluded, quiet, and idyllic. 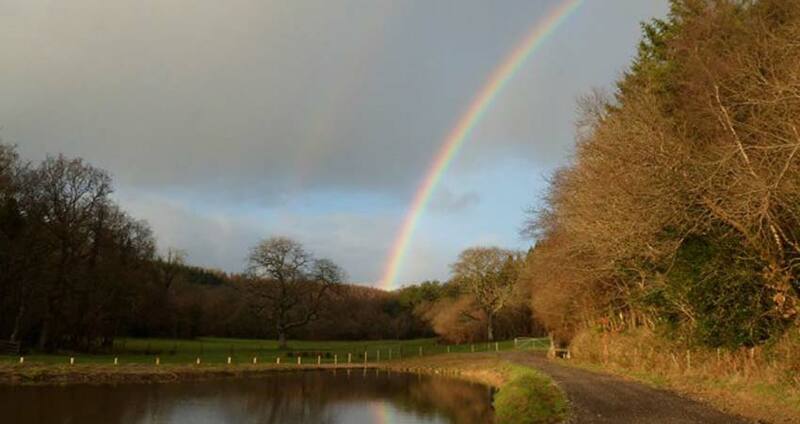 With three fishing lakes and plenty of woodland space, you'll be sure to have a great stay. Set in the beautiful wooded valley of the River Wolf is Wolf Valley CL. Close to the Devon/Cornwall border, it's peaceful and serene with easy links to Exeter and Truro. Enjoy unique access to our three coarse fishing lakes, complete with beautiful surroundings and an excellent stock of Carp and Tench for everyone to enjoy. Escape form it all and go on an adventure amongst our beautiful woodland. Enjoy walking through our acres of gorgeous forest with walks suitable for all. our three lakes and acres of glorious woodland. 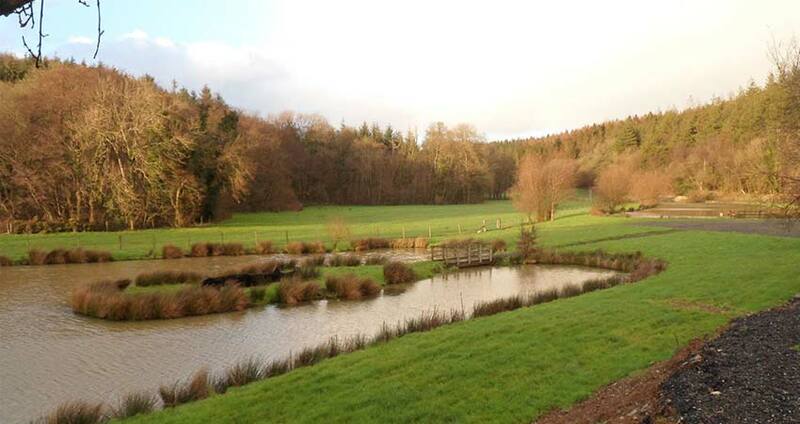 Set in a beautiful and serene area, Wolf Valley CL site has fantastic access to both Devon and Cornwall. Whether you're looking for a short break or a longer stay, we have all the facilities and space you could need, including electric hook ups, hard standings, and more. Enjoy a peaceful walk around the lakes, or through the idyllic woodland. Take a day to yourself and relax by one of our three fishing lakes, and catch yourself a carp, tench, or both! Our three lakes, named Ham Lake, Woodscombe Lake, and Spring Lake, are all carefully tended. Each are easily accessible, are suitable for fishers of all levels, and are stocked with carp and tench of varying sizes. 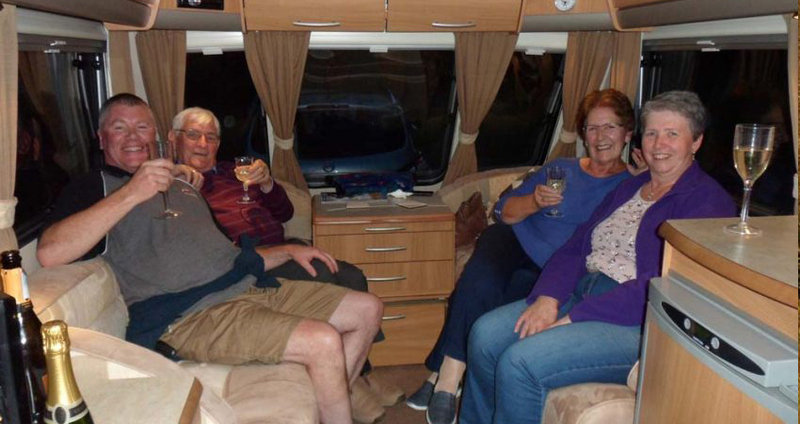 All five of our level pitches are perfect for caravans. Our three lakes have a great stock of carp and tench. All caravans on site have access to our disposal points during their stay. 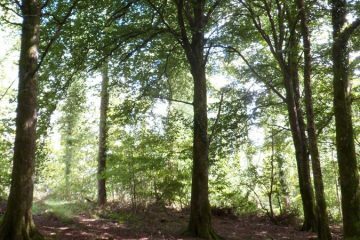 We have three woodland walks for you to enjoy during your stay. We're happy to provide information and have leaflets on local attractions. You'll find a toilet and tourist information area on our CL Site. with five hardstandings and all the facilities you need. Find us at the end of the rainbow! We stayed at Wolf Valley for just three days and wished we had been able to stay longer. This really is a gem of a site. The situation is stunning, and you really get to feel you are in a remote part of the country in the wooded valley, with adjacent lakes and river Wolf running alongside. The simple facilities were spotless, there was a wealth of information about the site and surrounding area and the 5 spacious pitches cleverly positioned. If you're into fishing, you should have a field day on any of the lakes. Brilliant place and nice owners to boot. The site is within half a mile of the main A30 but in a Valley we heard no traffic noise at all. We stayed here on our way back from Scotland to Penzance and we loved it. The site was quiet and relaxing and the welcome was warm and friendly. The facilities were clean and obviously well looked after. 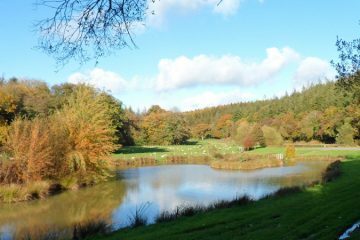 We loved the bird life in this wooded valley and it is situated a short walk from three ponds that would suit the anglers among us. We will definitely return with more time to spare to take in the wonderful countryside of the area and maybe try a spot of angling. What a fantastic location, this is certainly in our top 5 sites so far. A peaceful 5 van site with electric hook up and toilet facilities. You are surrounded by tree's and as the site name suggests, in a valley. There a numerous lakes for the keen fisherman although we don't come into that category. As an adults site this is quiet and you you don't hear any traffic as its away from the main road. As the owners are not on site, it gives you more a sense of remoteness about it. I would definitely come back again. All in all, if you like a peaceful site without children, give this a try. Nice friendly owners who made the effort on the morning we left of coming to say goodbye. It's an adult only site with a lovely walk for the dogs. The only sound is of the River Wolf running alongside the pitches and the birdsong. Lots of wildlife especially the resident heron who fed on the tadpoles. A really nice, peaceful site/ Very nice information hut full of places to go. Keep up the excellent work Anne & John, and thank you very much, we need more people like you. I've no doubt we will be back. Despite the weather we've had a lovely time here in the peace and quiet. Thank you for John's welcome and the information, it was very much appreciated! See you again. Wow, probably the best CL we have stayed on. Excellent fishing, just outstanding. Lovely CL Site, thank you for your time and effort in keeping it so brilliant for the dogs. Thanks again for a wonderful week just what we all needed! What can we say, you know we have the best time! Fabulous. The fishing is great on all lakes! We returned as promised, and just as enjoyable. See you next year! What a fabulous week! Beautiful surroundings, lovely weather, perfect hosts AND we beat the Aussies at Edgbaston! Thanks a lot Anne and John. Our fourth visit - lovely as usual! Peace and quiet, and great fishing. Thank you Anne and John, see you next time! Wolf Valley CL is as it suggests, in the beautiful wooded valley of the River Wolf, close to the Devon/Cornwall boarder. Our visitors often remark on how peaceful and serene this site is, just a couple of minutes off the A30 which will take you to Exeter in thirty minutes and past Truro and well into West Cornwall in under an hour. Your caravan will be on one of the five level pitches – each on hard standings with electric hook ups. The onsite lodge which includes toilet block and tourist information, making sure you are well versed in what’s on locally. All of our three fishing lakes have been specially constructed to provide you with the best fishing experience possible. Fully stocked with carp and tench, all three lakes are spacious and surrounded by beautiful forest. Despite being only a short distance from the A30, you'll find the lakes to be quiet and peaceful, allowing you to really relax and enjoy catching the fish. The lakes are kept exclusively for the use of guests, and tickets for both days and weeks can be bought in advance. Each lake is suitable for all levels. While staying at our CL Site, our visitors have exclusive access to our 43 acres of woodlands. With walks for users of all ages and health this is the newest and one of the most popular recent additions to our site. Since the walks were open to our caravan visitors in 2016 we have received 100% positive feedback and this venture appears to have been a very welcome addition to our already lovely scenic site. Once you’ve entered the woods you’ll have the choice of three walks; all are clearly marked and have wide footpaths. Our CL Site will be closed for the 2018 season - we hope to welcome you back to Wolf Valley next year.